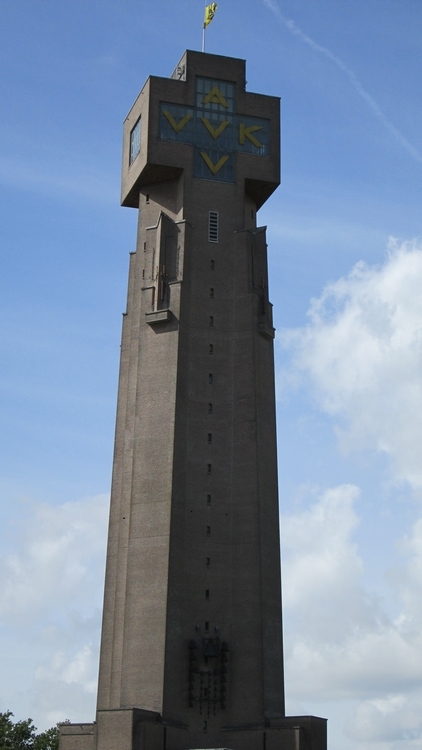 Restaurant review #26 – Water & Vuur is a restaurant at the foot of the IJzertoren (Flemish peace monument) in Diksmuide (48km from Bruges). 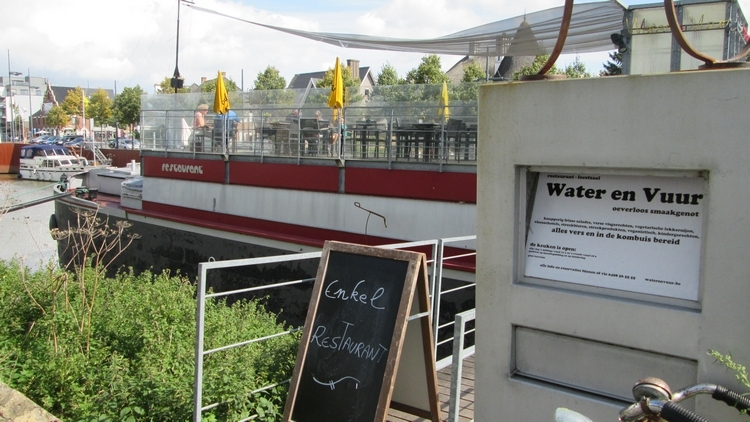 The restaurant is situated in a renovated cargo boat, on the banks of the IJzer (Yser). 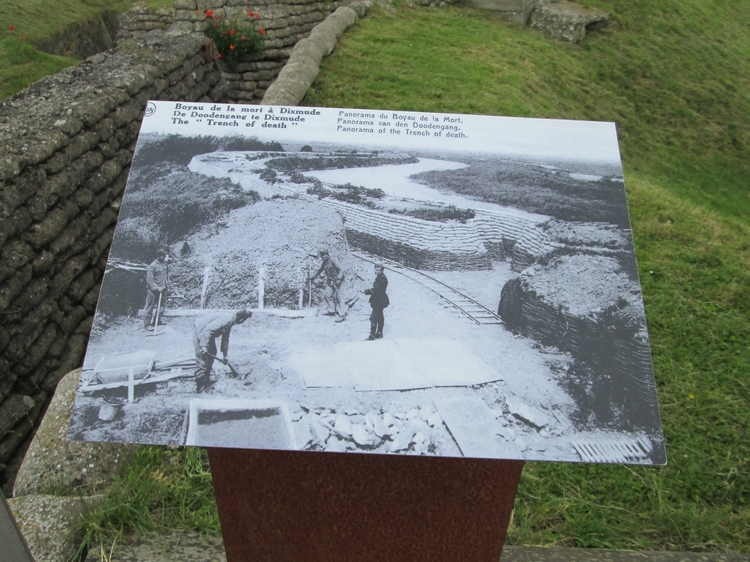 During World War I, the front was mainly situated along the banks of the Yser. 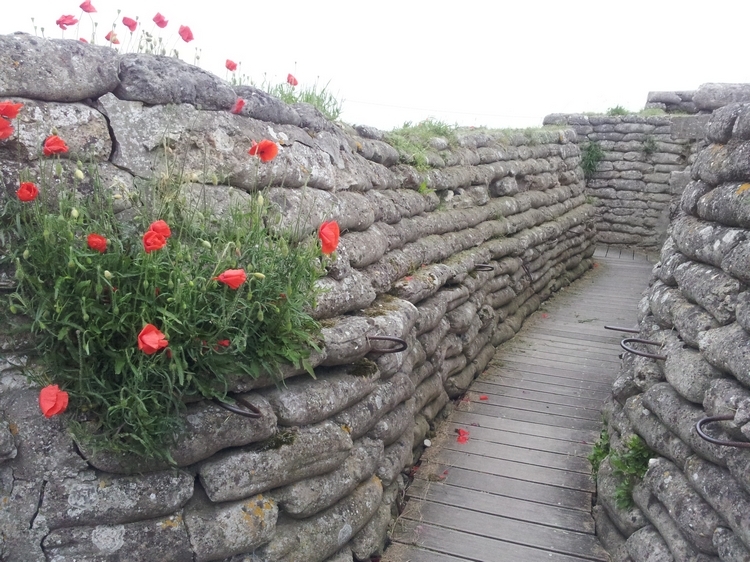 2km from the restaurant, you can visit the ‘Dodengang‘ (Trenches of Death), with galleries and trenches in which soldiers fought during WWI (see photos below). Water & Vuur is 23km from Ypres. The restaurant is well know among vegans in the area, because it is one of the few restaurants (or actually maybe the only restaurant) in the area that standardly has vegan options available. The menu also explicitly states that fries are baked in vegetable oil (beware, in Belgian restaurants and fast food stalls, fries are often baked in animal fat, see our page with general tips). 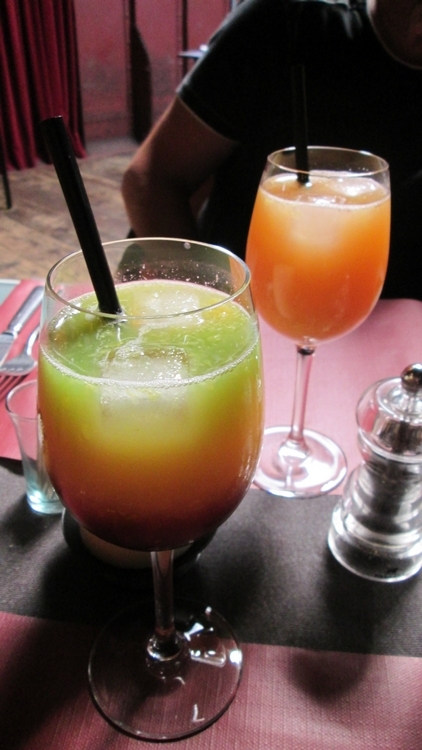 It’s nice Water & Vuur offers a variety of fresh juices. 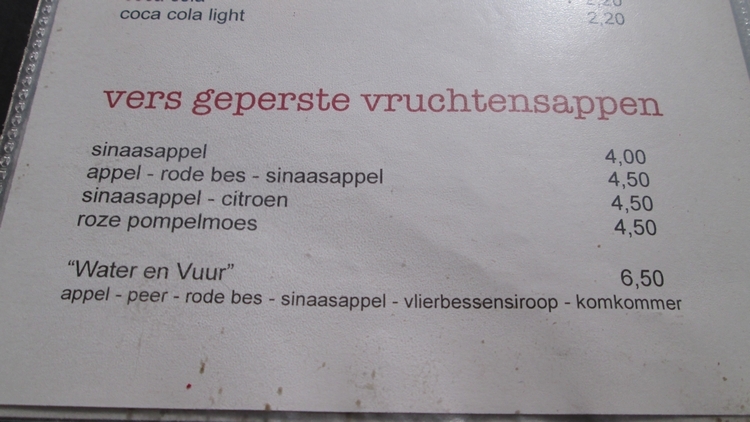 On this visit, we ordered a Water & Vuur juice (6,5€), which is with apple, pear, red berrie, orange, elderberry syrup and cucumber, and a juice with apple, orange and red berry(4,5€). 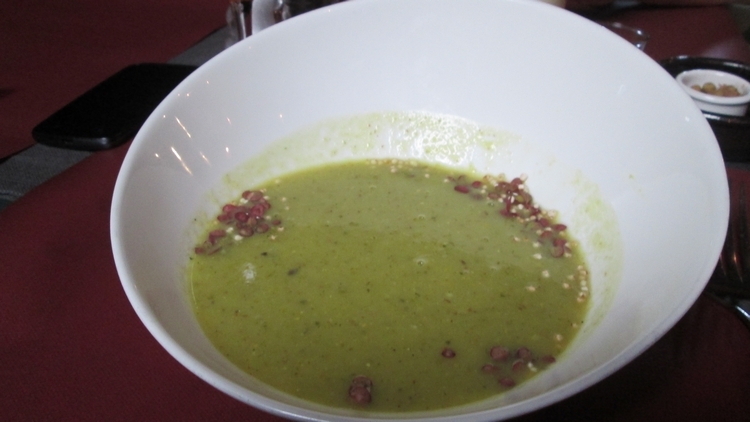 The soup of the day was vegan: zucchini with red orache (5€). As a main course, we ordered the seitan stew and the vol-au-veggie. 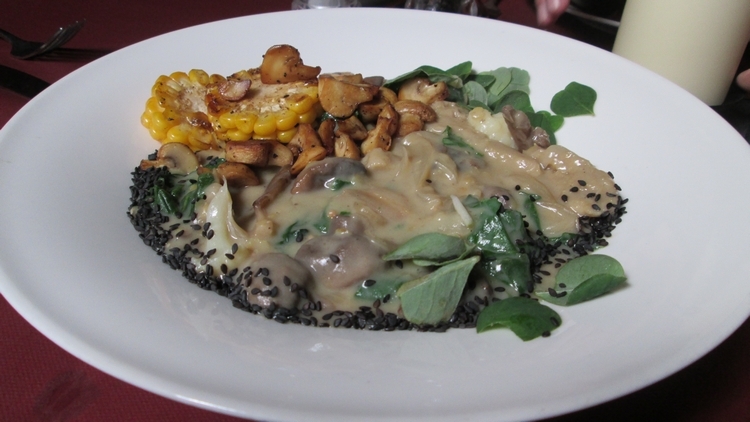 On the menu card, the vol-au-veggie is not listed among the vegan dishes, but we inquired and the waitress confirmed that it is in fact vegan. We had the main dishes with fries on the side. 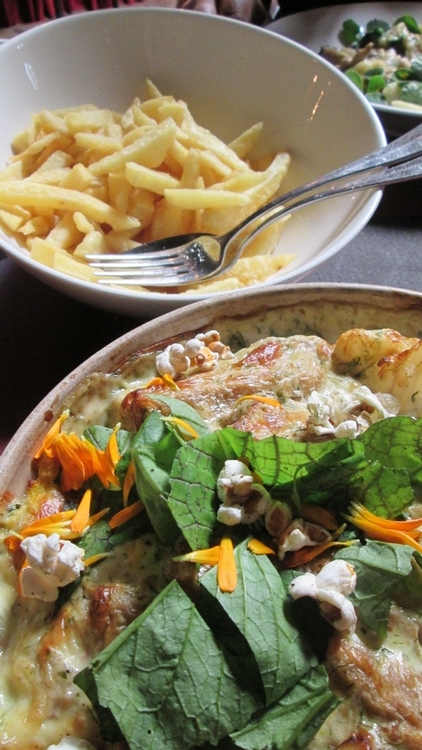 We’ve been to Water & Vuur several times the last couple of years and always enjoyed the food! 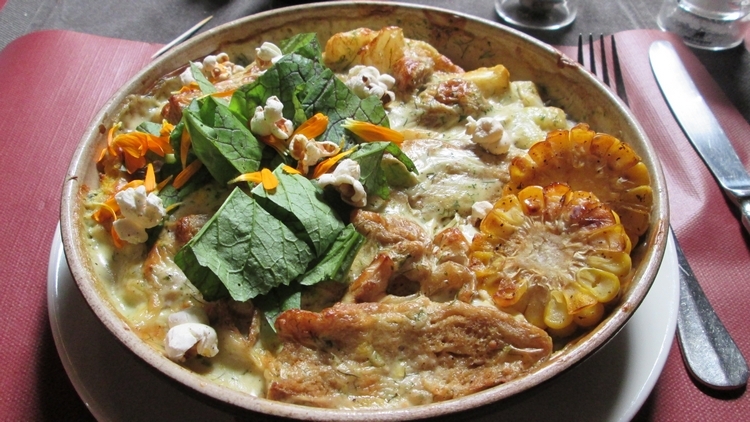 We’ve never fancied taking an appetizer, because the main dishes are quite large portions. As we have been here several times, we would have liked to see the menu vary somewhat over time (being always the same vegan dishes offered). But on the other hand, we have ordered the seitan stew on several occasions, and it’s always prepared in a different way, with vegetables of the season (as you can see in the photos below). 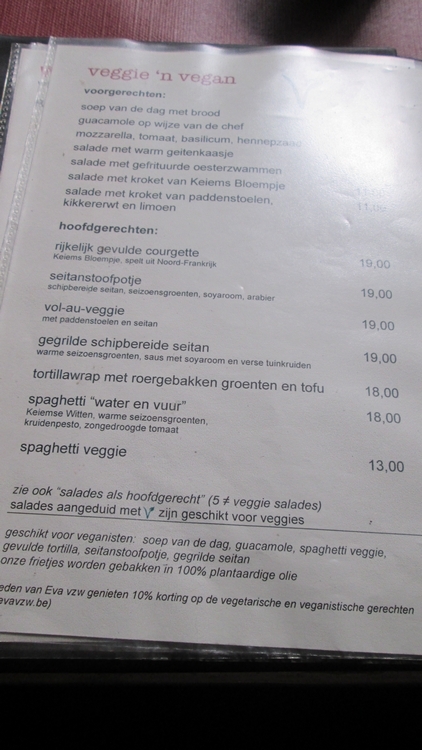 Although Water & Vuur has several vegan dishes standardly available, it’s a pity they don’t offer a selection of vegan desserts. On our last visit, we did specifically ask for vegan dessert and were offered soy-ice cream, but the waitress could not confirm that the chocolate sauce was vegan. As we didn’t fancy just a bowl of icecream, we just left it as it was. 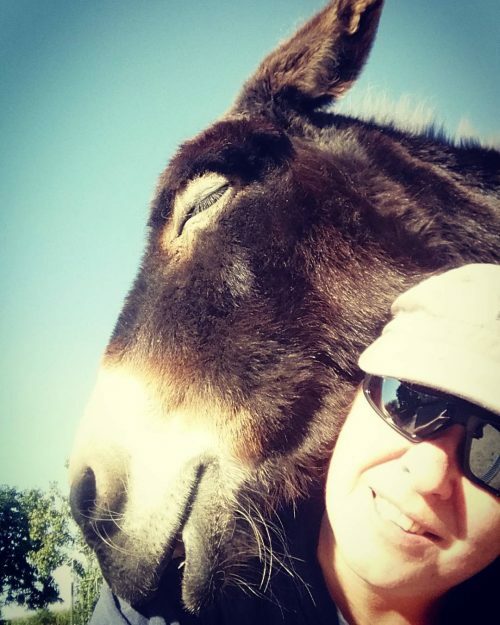 We’ve expericenced that when the restaurant is busy, service can be a bit slow (waiting over an hour for food to be served). 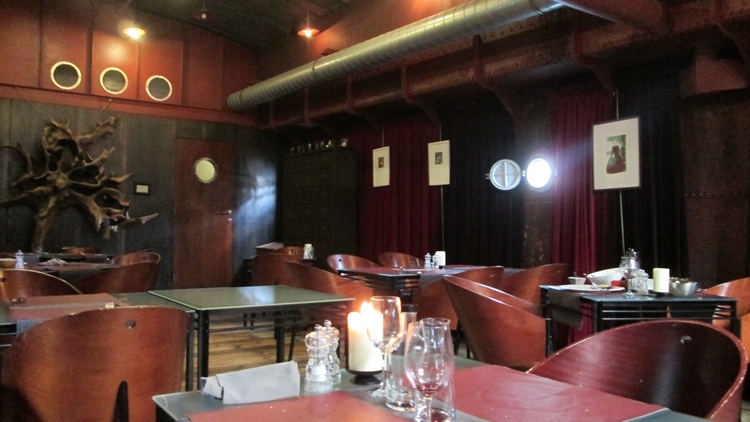 Chairs are quite comfortable and the decor – being in a renovated boat – is very nice. The stairs to the restaurant below inside the ship are a bit steep and may be difficult for people with mobility issues. But weather permitted, you can also dine on the lovely outside terrace on the deck, with view on the Yser and the Ysertower. Attention: The restaurant has limited opening hours, so check their website or call in advance! In Summer, they are open on weekdays, but otherways just on Friday evening and in the weekend.